What External Drive Should I Get? - Ask Leo! I'll review the characteristics of external drives and include a couple of specific recommendations. It’s pretty easy to say you can never have too much capacity. Bigger is better. Of course, more capacity also means a more expensive drive. The rule of thumb I use is this: get an external drive at least three times as large as the amount of data you expect to back up. For example, one of my Windows machines has a roughly 127GB (gigabyte) drive, of which around 44GB are used. For that machine, I would purchase a hard drive with a capacity of at least three times 44GB, or around 132GB. That would be enough to hold two complete and compressed full-image backups along with overhead information (such as recovery partitions), and a healthy collection of incremental backups as well. As I said, that’s a bare minimum, and there are certainly situations where it could end up not being enough, depending on how you configure your backups. If you want extra safety and breathing room, double (or even triple) my recommendation. The good news here is that in most cases, your backup requirements — even after tripling my recommendation — will likely be smaller than the average external hard drive currently available. There are several different types of external drives. Connection methods, and even power options, vary. Some choices are easy; some depend at least a little on your personal setup. There’s simply no reason not to ensure your new drive comes with a USB3 interface, even if your computer doesn’t support it. If your computer does support USB3 (usually indicated by the plastic in the USB connector being blue), backups will be faster. If your computer doesn’t support USB3, that’s okay; it’s backwards compatible, and will operate at the slower USB2 speed. Someday, when you get a new computer, it will likely have a USB3 interface, and you’ll have an external drive all ready to take advantage of it. In my opinion, SSDs, or Solid State Disks (which use high-quality flash memory instead of rotating magnetic platters), aren’t appropriate for backup purposes. I have two reasons. Expense: though prices are coming down, SSDs are still more expensive than traditional hard disks of the same size. Longevity: the lifespan of magnetic media is well understood. Once written, it stays written for a long time. Even in the worst circumstances, data can typically be recovered. The same can’t be said for SSDs. The primary benefit of SSDs – speed – is unnecessary for our purpose. The speed of an SSD is about reading data, and backups are all about writing. What I didn’t mention was ‘wearing out’. Flash memory does wear out the more you write to it, but SSDs have a longer useable lifespan than their cheaper thumb-drive counterparts, and backups don’t write as much to the drive as you might think. Yes, they write a copy of everything (or everything that’s changed) each time you back up, but that’s nothing compared to the constant use SSDs withstand — and are designed to handle — when used as the primary disk drive of a computer. There’s nothing inherently wrong with using an SSD as a backup drive, as long as it is a true HD-replacement quality drive, not a cheap thumb drive. I just wouldn’t recommend it. There are two approaches to powering an external drive. No additional connection: the drive is powered entirely by the USB interface. A separate external power supply. USB-powered drives are typically smaller, more portable, and slower. Drives with external power supplies are generally physically larger, offer more capacity, and transfer data more quickly. I use both. The backup drive for my laptop is small, portable, and great for travel. Backup drives attached to my desktop machines are typically externally powered. Physical size: if you care, you can narrow your selection based on physical drive size — for example, a 2.5-inch drive versus a 3.5 — but in the long run, that choice will probably be made for you based on the choices you made above, since USB-powered portable drives are generally small and drives with external power will be physically larger. Rotation speed: I never pay attention to this for external drives, particularly back-up drives. The USB interface speed is the limiting factor, so focus on getting USB3 if you can. If you’re on USB2, the speed of a faster drive is wasted. USB-powered: Western Digital 4TB My Passport Portable External Hard Drive. This is the drive I’d purchase if I needed one today. They’re available in capacities from 1 to 4TB (terabyte — that’s a thousand gigabytes). Were I to buy one, I’d opt for the largest, simply because you can never have enough disk space. In fact, that’s one of the reasons I’ve not needed to purchase one recently, as my previous purchases were always of the largest capacity available at the time. 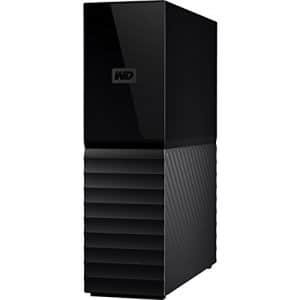 Externally powered: Western Digital My Book Desktop External Hard Drive. These are available in capacities from 3 to 20TB. Again, if I needed an external drive, this is the one I’d buy. The maximum capacity is difficult to resist. Choose what your budget will allow, as long as it meets the minimum capacity requirements I laid out earlier. Hard disks are a very difficult category of product to recommend. The problem is that the industry is cyclic: a great hard-drive manufacturer five years ago might be horrible today. Unfortunately, that’s true for all the major hard-drive manufacturers: their quality appears to come and go in waves. Fortunately, there’s usually at least one cresting while another is at its low point. Previously, I recommended Seagate drives, and that’s what most of my current (older) external drives are. In researching this update, Western Digital seems to be getting slightly better reviews today. By the time you read this, that may change. In addition, others may feel differently, either based on their own experience (whether current or not) or because the market has changed. So, when you’re shopping for an external hard drive, pay attention not only to the reviews you read, but also to the dates of those reviews. This article, like any article on Ask Leo!, may contain "affiliate links". Without affecting the price you pay, or my decision to include them, using affiliate links may result in my being paid a commission should you purchase the product mentioned. More detailed information. 1: With luck, I’ll update these recommendations periodically, and thus change the definition of “today”. « Previous post: Why Does My Network Not Work After Resuming from Standby? My approximately five year old external hard drive is dead. The power light shows okay but I cannot get it to boot up. I have tried with 2 different laptops. Is there an easy way a computer novice could revive a dead external drive, or are my backups toast? Depends on how novice you feel. My next step would be to open the external drive, take out the hard disk (do NOT open the hard disk itself) and try attaching it to an internal interface, or a different USB interface. It could also just be the cable. I’ve had these go belly up. The new mini-connectors (the ones with the dimple) are especially sad. They pop out if you even look at them wrong. I had a USB 3 2TB drive go belly up. When I popped it into a NexStar external case it worked fine. The NexStar also has a much better designed connector. I have a Hitachi external hard drive (my two Seagates both died horrible deaths) and its capacity is 500 GB. I use it for all my mp3s and plug-ins for Photoshop and Paint Shop Pro just in case I need to reinstall them. I keep it plugged in all hte time but it keeps giving me the message that it would work better with a faster USB connection. Mine is the standard USB2. My question is, will the Hitachi work with a USB3 and be a “plug and play” with my computer? Would those be available at most computer stores? Will a USB 2 external drive work plugged into a USB 3 interface? Yes. It’s supposed to. Not sure what you’re asking about at the computer store, though. As Leo says, it also works the other way around, i.e. slower devices in faster ports – working at the fastest speed of the slowest end of the connection. You didn’t mention redundancy in a backup device to mitigate single-drive failures. When I was doing this for a living, I wouldn’t dream of using a non-RAID drive for critical storage, and backup remains “critical storage” to me. Admittedly, a RAID 1-capable backup drive is expensive, but (IYHO) are hard drives reliable enough so that single drives are adequate? What is your Plan B when your backup drives go Boink? You replace them and carry on. You only need a plan B, really, if both your primary and your backup drives die at the same time. As long as one or the other is working, you’ve not lost anything. When either fails, you replace it and carry on. I bought a high quality Western Digital drive, a 2TB model (I believe it was coded green, and was significantly more expensive than the blue version with the same capacity). Although it is designed for use as an internal drive, I installed it in a separate case (which has its own power supply) and connect it to the computer via a USB port. It is used solely for back up and accordingly it operates all the time. Some of the reviews for this model said it was noisy, but I have not found that to be the case at all – you have to listen very carefully to detect a quiet hum. My philosophy is to get as high a quality as possible, because the cost to make good in the case of a failure would far outweigh the few bucks difference for a lower quality item (sort of like insurance). At the time of purchase I looked at a WD 3TB external “back up” drive. The reviews indicated that it used a proprietary back up software that could be problematic in case of failure. It was cheaper than my 2TB unit, but I feel that one gets what one pays for. I took Leo’s advise for back up procedures – so far, so good! I’ve gotten WD external drives with a proprietary backup program included. The proprietary backup program was never a problem. I just deleted it and used either Macrium Reflect of EaseUS Todo backup programs. One of my laptops has been rather a lemon so far. I copied the files on the D partition to an external 1 GB drive before sending it for repairs. I chose a copy just in case I would need to install that drive into the laptop at a later date. Plus I imaged the Windows partition so I could do a restore since I wiped the drive before sending it in. My laptops both have 1 USB 3 port that I have been using. I cannot say I have noticed how much faster imaging is. If you have only one external drive as your backup then you don’t really have a backup. As Leo has repeatedly stated, no drive lasts forever. Hardware eventually fails. My backup strategy consists of two external 2-terabyte drives. I do regular backups (my preference is robocopy) to drive-A once a week (more often if I have critical files on my laptop). Then, approximately once a month I do a robocopy /mir from drive-A to drive-B. Other than a catastrophe such as a fire, I can’t imagine losing both external drives at the same time. Regarding USB 3.0 – My new laptop (purchased late December 2014) came with a USB 3.0 port. The manual that came with the computer indicated USB 2.0 speeds of up to (sales speak for “actual mileage may vary”) 60MB/s, and up to 600MB/s for USB 3.0. In reality, using a USB 3.0 drive (results on a regular as well as SSD were the same) yielded 60MB/s. After upgrading the BIOS (something I shouldn’t have had to do on a new laptop) I maxed out at 100MB/s so don’t count on the advertised blinding speed improvement. Imagine your current car getting 40 mpg and the salesman promises you that your new car will get “up to” 400 mpg. You’d be pretty upset, and justifiably so, if the new car got only 90 mpg. An single external drive *is* that second place and is most definitely a backup. You have your internal hard drive and an backup of some sort. The odds of both dying/failing at the same time is astronomically unlikely. Perhaps what Jim is referring to is when people move (not copy) their data to an external drive they happen to call a backup drive. Because it’s on a drive called “backup” they think it’s a backup, even though by moving the data there they persist in having only a single copy – hence, as you say, it’s not really backed up. You will never find one more novice that I am so this may get flagged, I bought an external hard drive but don’t know if I just plug it in or do I have to format it. I know nothing about how to do that. Also I would like to know if an SSD is a special disk or what? An SSD is a special kind of drive. That means “Solid State Drive.” They are faster and more expensive than a regular drive, and not really necessary for backups. You should be able to just plug it in. 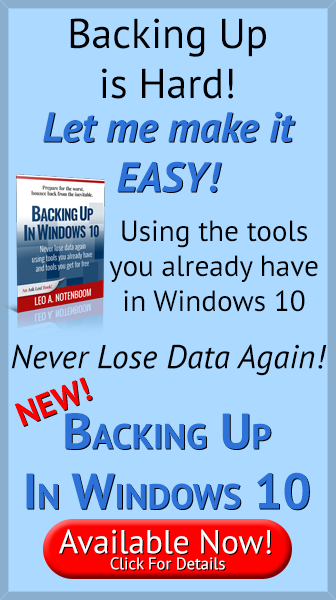 If you have good software for your backup it should walk you through what you need to do to back up. Just plug in that external drive and start using it. SSD stands for Solid State Drive, and uses electronic circuitry rather than magnetic materials and moving parts to store your data. Great article — as usual. I have two 1 TB external hard drives which I use independently of the other. The WD My Book is for file back-ups as needed. The HP is used for total system back-ups. I do not leave either one connected but only connect when I want to do a back-up. So why don’t I leave the WD drive always connected? When I had a total system crash with my desktop, apparently it still wrote to the external drive and I lost some music, pictures, and documents. Not a big loss, but still a loss. I decided then to upgrade my PC with a new hard drive and Windows 7 and streamline my machine with only the programs I always use — therefore not doing a full system restore from my HP external drive. For Christmas I received a WD My Cloud 2 TB external hard drive. Very neat device to be able to access all my files remotely on my smartphone and laptop. However, you must keep your DSL, Router, and the My Cloud drive always ON to be able to remotely access the files. This drive I do keep connected at all times. Believe it or not, I still do back-ups with the other two external drives, but only have the external drive that I want to do the intended back-up connected. Consider two external drives. This is a budget decision, but what price peace of mind? I swap out the external backup drives periodically. A few times a year I’ll remove the external hard drives from our machines, move them to the remote safe, bring the other drives back in, wipe them and start anew with a full image … then continue the nightly incremental backups. Actually I’ve only done this twice since I began using Macrium Reflect in 2014. This may seem overkill, or paranoia, but that’s just me. Should something terrible happen in which, for myriad reasons, our machines AND backup drives are ‘gone’ I have images that are only a few months old. For those who travel with laptops and their backup drive this can be a lifesaver should you experience some form of loss on the road. The more I do to protect our data the less likely Murphy will come a calling! 2. Your personal files; photos, documents and other saved data files. In the case of a disk crash or other disaster the operating system and added applications can usually be easily restored to a hew hard drive or PC. Your personal data is much more valuable to you. Here the NAS approach is much better if you store ALL your personal files on it. If your PC is toast all your personal stuff will remain intact on the NAS drive. NAS drives are also available in a RAID1 configuration, that is two independent disk drives that are always an exact copy of each other. Even if one of the drives crashes the other still has all the data. Simply replace the defective drive and it is automatically restored from the remaining good drive. Although it is a more expensive solution there are more advantages to using a network drive. If your household has two or more PC’s they can all share the network drive eliminating the need for several copies of the same files on each PC. This reduces the need for larger disk drives on each PC. Network drives can be set up with a private area for each user and a public area for all users to share. The RAID1 configures also eliminates the need to remember to back up files periodically as it happens automatically and instantly! Being a belt and suspenders type I periodically back up the network drive to one of several USB external drives and put the latest backup in my bank safe deposit box. The bigger the hard drive, over and above what you need, will take much longer to defragment. My 3 Terabyte (2.12 free space) powered USB3 had over 350,000 fragments and the Windows Defrag took forever just to run through the “Analyze” portion of the defrag process. I used IObit\Smart Defrag 3 to do it MUCH faster. If you are using your external drive for backup, why would you worry about fragmented files. You wouldn’t be regularly accessing the drive to retrieve data from it, so it shouldn’t add a delay to reading. Besides, you would usually be writing, which should use up the clusters sequentially, unless you are constantly deleting your old backups before making a new backup. I’m surprised you don’t mention external HD cases as an option. They are inexpensive and can accommodate just about any capacity internal HD, making them easy to upgrade. The cost of just an internal HD is considerably less than a comparable external HD. (I got a 2T internal HD for less than what it would have cost for a 1T external HD – even if I added the cost of the case, which I already had). The one’s I use have both IDE and SATA connections, so I can use my older HDs for additional storage or larger new ones for backup. Also, they have external power supplies that are readily available on Amazon.com should one fail. Of course, reusing the same case does not allow for upgrading the USB interface. Is the difference in interface speed really that significant for backing up? As you say, though, it is a matter of personal preference and what one can afford. Being a cheapskate on a very limited budget, I prefer to use things until they are no longer serviceable; although I did upgrade my HDs when the price – with discounts and rebates – was within my range. II did some research because a Seagate EXTREME USB Drive drive kept failing in my DirecTV DVR before the warranty was up and noticed that the model drive that Seagate sticks in their USB cases is the lowest quality drive that they make. This is reasonable since my desktop USB drive only gets used occasionally. If you really want the most reliability for your backups, buy the HD separately like the post from Ron above. If you don’t believe me on this, crack the case and look up the drive model on the manufacturer’s web site. An important consideration is the backup software. And a 2nd consideration is a networked device. And the 3rd is wireless. But first – as Leo has mentioned before, having two PCs networked together – one can be backup to the other. That’s a very inexpensive way to go. I set up an office for PCs. A Western Digital MyBookLive that connects directy to the router serves as backup. It is easier than carrying a backup from PC to PC to laptop or having separate drives for each. As well, it can be stored in a separate room. Juuuust run that wire a bit longer! Now, I thought that Norton (Security Suite, included with Comcast subscriptions) would work for backups, but the included version of Norton for business accounts is Norton Internet Security, which does not include backup software. Then, the version of Windows 7 – Home Premium – will not backup onto a networked device; Thanks, Microsoft! Well, WD includes backup software, as do virtually all the external drives on the market today (Jan 2015). Now, some external drives are coming with wireless capabilities. I still prefer the wired or networked route. Wireless will compromise speed and I would worry a bit that large GB files might not copy cleanly or easily. But there is no convenience these days greater for electronics than wireless. But I cannot echo Leo any greater: JUST BACK UP! Could you comment on the encryption systems that are included with the hard drives? They seem to be OK for casual protection. My computers have Truecrypt full disk encryption. I pay almost 20 cents a Kilowatt Hour for electricity. I found my older 7200 RPM external hard drives will draw 100 watts when spinning. That can add up if you have several or keep your system on all day. USB Drives probably do not use more than 10 watts so they are my choice for constant use. I did burn up 2 Belkin NAS Routers that were powering USB powered drives so I gave up on that idea. Oh, yes. There are many ways to do just about anything and backup is one of them. My main PC has two 1 TB hard drives. Each one is partitioned a bit. So the HDD with Windows (C:) also has Programs (D:) and backups (E:). Backups on the same drive? Not really! Ah, my data resides on the 2nd HDD. It isn’t an-any-contingency perfect plan – but it is reasonable for me at this point in time. I have had to rebuild the OS a handful of times (Windows XP to 7 and just last month, Win 8). Of course, the Programs get reloaded as well. While it is more time-consuming to reload the programs one by one, it also gives me a cleaner Registry, I believe, than taking a recent image and reloading that. We use an external SATA dock and plug in various Hard drives to back up to. The dock is an awesome way to archive videos & photos too. We also use HardDisk Sentinel s/w to monitor hdd health; our experience with Seagate drives is terrible. We use Hitachi and WD predominantly. I used to leave external hard drives used for backup connected until the surfacing of CryptoLocker Ransomware Infections. As I understand it these infections encrypted all data that could be accessed from your computer, meaning all attached drives. Since then, I create an actual clone of my hard drive once every week and keep it detached from the computer. I use a regular Western Digital 3.5″ inserted in a USB 3.0 Connectland device. The original disk is partitioned and has both Windows 8.1 and Windows 7 installed. In total close to 400 GB of data. The cloning with Acronis 2015 takes 40 minutes. I backup folders that I update frequently everyday while I browse the internet or read e-mail, alternating with two external drives So that only one is attached at any time.. This way, should my hard drive fail, I can be back up and running in about 15 minutes. Just switch the hard drives and restore from USB external drive. I learned this the hard way: When restoring a backup image using a rescue CD always use the 2.0 USB slot in the “BACK” of your desktop PC even though your external HD and your Desktop PC supports USB 3.0! My wife and I have identical Dell Desktop PCs. I had always been able to restore a backup image on my PC using Macrium Reflect however when I tried to restore a backup image on my wife’s PC it failed for the first time. So I brought it to my local PC shop along with the external HD and rescue CD to see if the PC tech could somehow restore the backup image. The tech was successful and he reminded me of something that I had learned a long time ago but forgot: USB drives in the back of the PC are much more robust because they are directly connected to the motherboard. He stated that in his experience USB 3.0 drives are kind of flaky when you are running a rescue disk, so always use USB 2.0 in the “BACK” of your desktop PC when restoring a backup image! I have two external drives. One is a Samsung 750gb S2 USB 2 and the other is a Samsung M3 USB 3 model. The M3, which is the newest one, is quite speedy and is good pricewise. I believe they are made by Seagate now. The S2 is slower but I’ve had it for quite a few years now and it’s still plodding along with no problems! I backup to a separate internal HDD regularly but also backup to my external M3 drive as well. All very simple. The Samsungs are small enough to put in your pocket so are very portable. I have no preferences as to which make I use but the Samsungs were small and cheap ( in England) when I needed them. Whichever make you purchase it will be a good investment. At this moment the Seagate Expansion 1TB is $78, the Samsung M3 1TB is $69 on Amazon. Both good value. I love the Seagate Back Up Plus Drives and their portable external drives. I keep a one copy of my data on several of the portable drives (1.5 TB) so that they are constantly off and not subject to a malware invasion as a non-internet connected device, and I keep another copy on several 3 TB drives that are either internet connected or on hooked up to a non-internet connected PC. For the latter, Seagate has made excellent strides in shutting them down automatically according to their parameters and I have gotten a lot of use and reliability with no problems so far. Obviously the 1TB Leo uses for both his and his wife’s laptop are 3.5″ (? ) So does this mean that if the laptop’s HD crashes the machine can only be operated from then on by the external 1TB hard drive? Or should the clone be made upon an external drive the same size as the original (in my case an Acer with 2.5″) which can then be exchanged and inserted into the laptop housing. No, it means that the backup/recovery software can restore the internal hard drive from the backup information stored on that external drive. More expensive I know with annual fee, but any thoughts about Cloud Backup (security, reliability, etc. ), such as came with my WD Touro? I have several articles on cloud storage and cloud backup – I’ll suggest you search for those terms here. I found this article when trying to find a solution to the problem of my Hitachi Touro external hard drive not being recognized by my computer, it seems I’m not the only one who has had this problem. Problems have been reported by people running Windows 7, 8, and 10; it seems it may be a USB driver problem, I’m still digging for a solution. I have a WD MyCloud device I use to back up 4 PC’s in the house. It is connected to my router on a 1Gb port and works very fast. But it’s designed to be always on so I guess I’m at risk of a crypto ransomware attack! Am I correct at thinking this? That any NAS device is at risk since it can be accessed via a possibly infected PC? Is there something software wise I can do on the WD MyCloud to deny access to this type of threat while still alowing my back ups? To be clear, only SOME ransomware reaches out to external drives or network connected drives. Not all – in fact perhaps even most – ransomware does NOT. The best solution is to not get infected with malware in the first place. 🙂 Remember, ransomware is “just” malware. Make sure you do what you need to do to remain malware-free. I have an external drive that work well but when I decided to boot my computer with the external drive plugged in, the light turned off shortly after the desktop loaded, and the device wasn’t recognized. It happened again when I shut down and booted the computer up. So then I decided to unplug the external drive, and booted the system first. The drive didn’t turn off this time, so now I know. But was there a chance that data was lost because of this? Hi Leo, I just have a question more on the side of my external hard drive. So when I was backing up my files, my old laptop was never able to shut down, meaning that when I clicked shut down, it would go to the shutting down screen for a very long time, and then, a blue screen appeared and said that my PC couldn’t shut down correctly. It would empty out the memory, whatever that means, and when it got to 100, I would then hold down the button and it would shut down. The thing is, I did this quite a few times with my external hard drive plugged in. Could shut down issues like this have caused any damage to my external hard drive, physically and data-wise? It’s possible, but there’s no way to know for sure. I will say that it’s not likely. I’d run CHKDSK on the external drive if you can to see what it reports. Thanks. If I use the quick read only CHKDSK operation and it says it’s all good, should should I leave it be, or do I need any of the other options as well? /R will check the entire surface, but that would be looking for surface defects, not anything related to software or malware. Also, if a virus caused the improper shutdown, can that virus get into the external drive when shutting down? Unlikely. If it’s on the external drive, it got there before the shutdown. One more thing, I just wanted to know, if any damage were to be caused to the external hard after removing from an improper shut down, is it because Windows may not have properly removed the device, or is it because the whole system crashing can do unexpected damage to it? Bother. Either. Neither. There’s no way to know. Hi Leo, if I have an external hard drive stored in a metal drawer, can it cause any damage to the data? I’m asking because it’s magnetic. I have always tried to keep it a bit far from the inside walls, and on top of something else. But of course, it does get unavoidably close to the drawer when I take it out or put it back. Also if magnetic damage were to happen, would single files disappear, or would it ruin the drive althogether? That shouldn’t be a problem. HDDs are shielded against that. If it were that easy to damage an HDD, they would be damaged by the steel computer cases and components. Good to know, thanks Mark. I, like Leo, always buy the largest capacity drive available. I would consider the minimum of three times the data stored on your computer to be on the low side. You never know when you’ll use more of that drive in the future. I would consider three times the capacity of the system a safer minimum for backup. I keep most of my music and movies only on external drives and I back those up to a couple of other external drives. I’m into the 3, 2, 1 backup method. https://askleo.com/how_do_i_backup_my_computer/ But more like 5,2,1. One extra requirement I have for desktops or non-mobile laptops is an externally powered drive with a power switch on the drive. I do my backups manually so I can turn the drive on, do the backup (which usually takes less than a minute) and turn the drive off. This exposes the backup drive to malware or ransomware for a minimum of time. Granted, if you’re using some kind of scheduled backup turning the drive off will be a problem. Similarly, if you’re using a mobile laptop you won’t find a small drive with a power switch. But you can connect the drive to the laptop only during the backup process. An external drive is no barrier to malware/ransomware these days so the less time your backup drive is connected to your computer the better. I actually disagree with this advice. While ransomware is scary and particularly damaging when it happens, it’s just malware. It uses no special techniques to get on your machine. As long as you’re taking all the steps to stay safe from malware in general, you’re dramatically reducing the risk of getting infected by anything, including ransomware. I believe it’s significantly more important to let automated backups happen, and that means leaving your external drive connected and powered on at all times. If you want to take a copy of the backup offline manually every so often, fine, but let the automation happen every day. I truly believe that with normal precautions you are at significantly greater risk of not having a backup when you need it for a variety of reasons, than you are in actually getting infected with ransomware. Leave the drive plugged in. More here: Should I Disconnect My Backup Drive When I’m Not Backing Up? When I shop for an external drive I look for the longest warranty first before considering other specs. As Leo said, what was good last year may no longer be worthwhile so there’s really no way to tell other than what the manufacturer is willing to guarantee. In recent weeks, whilst my Dell Desktop recognises USB “Thumb-drives” on inserting & facilitates their removal – I just can’t get any USB “Viagra” Disk to do anything more than admit to being inserted – BUT – can’t actually access the contents of ANY of my several USB connected Hard Disks – from 40GB up to 4TB –> I just wonder why that is – and more importantly – how to regain access to them!! I suppose that some programming has been corrupted in Windows 7, but works okay in Win 10 (Dual boot). Any ideas as to what system files I need to reload to resume USB connections & data transfers with this errant Windows 7 ? “Uninstalling a device forces Windows to reinstall the driver again. Often, this solves that kind of problem”. More details in that post on how to do this. Do the uninstall/remove of USB device in Safe Mode and then reboot normally. – Open your computer case (after unplugging it) and make sure all the internal USB connectors are well seated. Unplug them, blast the area with compressed air and plug them back in. I’ve has this to be a problem in an old desktop. While you’re at it, used compressed air to clean the inside of the USB sockets. – I know you say the USB is recognized, but try this anyway: The USB drives may have been somehow disabled in the device manager. If so, they won’t show up on your Windows Explorer. But even if disabled, the device manager should have entries for each USB port/device. Right click on each and see if the context menu says Enable or Disable. If it says Enable, that means it had been disabled. Toggle that on. – Go to the Windows Disk Management (Control Panel > Administrative Tool > Computer Management > Disk Management) and check to see that a USB drive that’s plugged in shows up. If it doesn’t you may have to take a drastic step such as recovering your OS (reinstall, repair using CDs or whatever tool Dell provided). If it shows up, it may not have a drive letter assigned. Right click at the block representing the USB drive and see if you can assign a drive letter or change it (there may be a conflict). For this type of task I use a disk partition utility such as Partition Magic or Aomei, which are more powerful tools than the Windows Disk Manager and help you see if the drive is somehow hidden. Before you do any recovery on the OS, I’d say try one of these free utilities. – Find out if Windows has recently updated or if you have installed some new software on your computer. There is a chance – actually a fantastically great chance, that a Windows update has done you in. Restore your computer to a time when the USB devices worked and see if that helps. I have two external drives used for backups and I have a problem with them. I prefer to rotate the two ext drives; one in use and one in fireproof safe. One of the ext drives is always called drive E: when it is plugged in and the other is always called drive F: when it is plugged in. When I swap the drives (putting the most recent backups in the safe and connecting the other drive to the PC), I have to update Macrium Reflect to stop copying to E: and start copying to F: or vice versa. Its a real pain. What have I done wrong? By the way, these external drives are Western Digital My Passport drives. I’ve found that Windows will assign different drive letters to each separate drive plugged into the machine. However, if one of those drives was unplugged then it might receive the same drive letter as a previously plugged in drive. For example if I had a Red flashdrive and a Blue flashdrive plugged in simultaneously Windows might assign the letter “M” to the Red flashdrive & the letter “L” to the Blue flashdrive. But if I remove both flashdrives & later plug in just the Blue flashdrive, Windows might give it the letter “M” instead of the previous “L” as before. It could also assign the letter “M” to a new White flashdrive if it’s plugged in before anything is plugged in. This may or may not help you at all as I didn’t understand how Windows (or Macrium Reflect) was attempting to write to the 1st external drive you’d previously unplugged. Unless Windows gave your 2nd external drive the same letter “E” designation as the now unplugged 1st external drive. But I wanted to share the above information with you because it helped me keep track of which external drive or flashdrive Windows was referring to. What you describe is what I have experienced using flash drives. Generally, *any* flash drive I plugged in would be E: and a second one plugged in would be F:. Even today, the first flash drive I plug in will be E:. This is what I have always experienced. If the WD external drive that is always referred to as E is connected, the the flash drive will be F:. If the WD ext drive that is always referred to as F: is connected, then a flahs drive that I plug in will be called E:. Removing all drives, and connecting the WD ext drives results in the original behavior; one is always E and the other is always F. sheesh. As a retired mainframer, I can only surmise that this is yet another PC POS situation. I don’t believe you’ve done anything wrong at all. This is how Windows tries to be helpful. Use the disk manager to assign an explicit drive letter (say G:) to each drive when it’s inserted. Naturally insert one at a time, and assign the same letter to each. See if that sticks. Your suggestion seems to have worked. THANK YOU! I don’t know that I have ever used this utility. Using disk manager to reassign a drive letter to a physical drive is going to be way, way safer for me than having to redefine the Macrium Reflect backups (which is what I was doing). WOW. Never too old to learn something new. Thank you, Leo, thank you. thank you. thank you. I’ll be buying you a beer. My Win7 PC is now very slow in opening files etc and generally playing up. Worse, it keeps shutting down with no notice which I thought might be a temperature problem but the time between shut downs varies from 15mins to 2 or 3 days. My backing up concern is; will I be copying the problem/corruption as a backup image? Without knowing exactly what’s causing the problem there’s no real way to say for certain. At a minimum your backups will contain your data files, which if you restore only those in the future would likely not carry the problem. Hi Leo, if I have a disconnected (or connected) external hard drive on my desk and the desk shakes a bit ( elbow hitting desk, foot stomps on the ground, etc.) can it cause any damage? Generally hard disks today are significantly more resilient than that. So … no, I wouldn’t expect those kinds of things to cause a problem at all. Hi Leo, just one more thing. I noticed that I tend to also sometimes shake my leg while leaning on my desk, making the vibration a bit harder at times to the point when my plastic drawer on my desk with the HDD shakes quite a bit. I’m also speaking of a disconnected HDD. Is that still fine? Sorry to bother. I also wanted to add, if such minimal damage were to occur, a quick disk check scan would would find it, right? i have 100s of GB of data and I always worry about missing bits and pieces. Again, minimal movement shouldn’t be an issue. HOWEVER: if you would lose data — any data — if one drive fails for any reason, then you’re not properly backed up. I’m typing this on a laptop with a hard drive. I often move it around and even use it on my lap (with a piece of board under it). I just moved it on the table twice while typing this. I’ve never had any data lost and if it ever happens, everything is backed up. I imagine a hard drive on a desk receives much less shock even if you shake the desk a little. 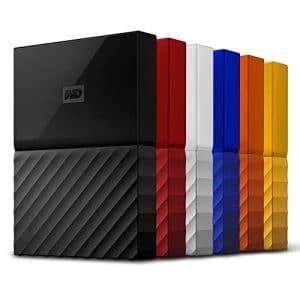 Hi Leo, is there a way to have 2 external hard drive backups (or an external and solid state drive) and be able to synchronize between both backups? I’ll always be adding files or rearrange them so it would be a pain to track everything between both storage devices. I have 2 external drives connected to my computer. I have a backup scheduled to one and also have my movies and music on it. The other one is a backup of that drive. Every couple of days I manually copy “all” the files over to the backup. I put all in quotes because the backup skips over unchanged files. I should schedule it to do it automatically but since it’s essentially a backup of a backup, 2 or 3 times a week is sufficient. I also have a couple of unconnected HDDs which I periodically back up to which I rotate periodically with one I keep in my locker at work. Copying is easy, rearranging them can be a pain. If I rearrange my music folders, I have a lot of manual syncing to do. Hi Leo, I really don’t mean to spam this article but I even if I have all my data backed up, I want to be sure that every single file is intact. So even from the smallest damage an external drive can receive, will a simple disk check surface scan (the one that’s about 1 minute) notify me if anything is wrong so that I at least know if any sort of damage deleted any data? No check is 100% perfect but running chkdsk /r checks the disk sector by sector for errors and repairs any recoverable sectors. It is a good indication that the disk is good. A surface scan is more in the range of hours not minutes. Your best protection is to have a backup of your backup. Hi Leo, sorry, I just wanted to ask this because it worries me a lot. I appreciate your and Mark’s help. Backing up isn’t an issue here, but more than anything, I have so many files between photos, videos and documents, and I’m afraid of file corruption without me knowing it. Is there an easy way that I can be sure that the integrity of all my files are intact? If I can at least easily know which ones become corrupt, I would be able to get another one from my backup before it’s too late. The best way t preserve the integrity of your photos or any files is to have backup copies. Then, if you discover file corruption, you can restore that file from the backup. If you are referring to whether or not a file on your computer might be damaged without you knowing, that is extremely unlikely. Every file on your machine has what’s know as a “checksum”, a number calculated from the sum of the ASCII values of the bytes. When the file is opened, the checksum is recalculated against the stored value to see if the file has been corrupted. If the calculated value doesn’t coincide with the store value, the file won’t open. Thank you Mark. So is there a way to know without attepting to open a file? Like a window that lists that they are all fine? You could run a non-repair surface scan. In windows/File Explorer. Right-click on the c: drive. Click “Properties”. Click the “Tools tab and click on the “Check” button. Finally click “Scan drive” to proceed with the scan. Hi, I know you told me that shaking or vibrating a drive minimally doesn’t harm it but I wanted to ask a few specific things if you don’t mind. And these are questions for a disconnected drive. 1. If a drive shakes or vibrates diagonally or vertically, can the head possibly touch the platter, or is it completely locked? (I have a 4tb drive so maybe the heads are parked away from it, but can’t be sure). Through vibration and shaking, can platters lose their magnetic properties? I don’t know how to be any clearer: reasonable movement or shaking generally does NOT hurt drives. If you’re at all concerned (and even if you’re not), then BACK UP REGULARLY. There’s nothing more I can add. I use a Toshiba DT8320, to back up, the Canvio series. Are these SSD? I don’t think so, but it sure is quiet. I have two and each time I backup, I rotate which one I use. It’s not an SSD. It’s a 2.5″ HDD. Sometimes HDDs can be pretty quiet. I was blowing air from my mouth into my external hard drive’s USB connector. I thought it was fine until I realized maybe spit could have flown in the process. Is there a chance that some of it got in and will corrode the USB connector? Tiny chance. Not something I’d be terribly concerned about. Hey Leo, sorry I got one more question if that’s okay. IF any amount of corrosion were to happen, would files get damaged due to connectivity issues, or would the external drive not get recognized at all? So basically, all or nothing, or problems in between? Impossible to say. Could be either I suppose. As I said, nothing I’d worry about.